South Florida’s luxury real estate market is booming and the market for listings is more competitive than ever before. In the last ten years, the Internet has changed everything from the way we communicate to how we shop and buy for everything. It is a fact that most searches for both agents and homes begin online and both buyers and sellers are judging firms by the quality of the images that are used to sell homes. As a result, your listing needs to truly stand out from the rest in order to generate the kind of traffic needed to sell a home. Differentiating your listing is crucial and the way to do that is with high-quality professional photography and increasingly with video. 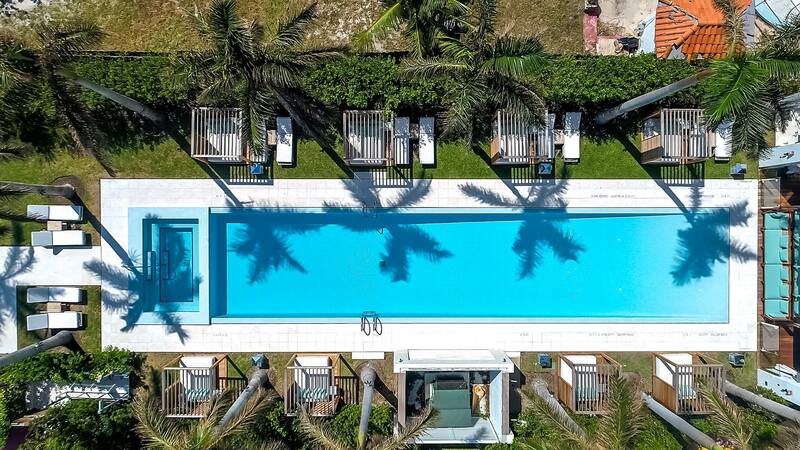 Whether it’s 360-degree video or a panoramic walk-through, high-quality dramatic drone photography and video tours are the newest tools in real estate marketing. In fact, some agents believe that drones are the most important new technology for real estate marketing since the Internet. If a picture is worth a thousand words, a video is worth a million. In fact, Kissmetrics has found that adding videos to your homepage or product page can increase sales anywhere from 64-85%. While real estate videos are nothing new, adding video footage shot from a drone drastically changes the look and feel of an advertisement or walkthrough sequence. Consider this: A company highlighted in the Kissmetrics as mentioned article earlier called StacksAndStacks.com reported that visitors were 144% more likely to make a purchase after watching a video that highlighted their products. For the past few years, drone technology has been available, and use has been growing. Unfortunately, when drones became available to consumers, the FAA quickly made operating a drone for commercial purposes virtually impossible. However, in August of 2016 the FAA relaxed drone restrictions making it possible to use drones for real estate marketing, and since then drone video use has exploded! Luxury real estate sales are driven by perception and emotion. To create excitement and drive passion, a property needs to be portrayed in a realistic, yet dramatic light. When it comes to luxury properties, it’s not only about the interior of the home; it’s about the neighborhood, the views, the home’s exterior and the outdoor living space and grounds. Using flying cameras enable real estate photographers to produce a product that shows dramatic sweeping shots of ocean and mountain views, and seamless fly-arounds of a home’s exterior that still photography could never capture. Camera drones and ground-based glide-cams are being used to create whole house tours in ultra HD that are impossible to duplicate with handheld video. As a result, it’s now possible to use HD 360-degree video as a marketing tool within a web listing. If your buyer has a smartphone and a virtual reality headset, for example, a Google cardboard or Samsung Gear VR, they can visit your website and experience your listing as an immersive virtual reality experience creating the same emotional impact as a physical tour. Drone real estate videos can help you to set your listing and your firm apart from your competitors. Marketing a property using drone footage can give you a leg up on the competition, allowing you to create a sense of space by showing the entire property. For example, if your listing has a huge 3-acre yard, but most of it is covered by trees. Still photography isn’t going to capture the sense of space. A drone can give a panoramic shot from 200 feet above the tree canopy that can show the roof line of the home and the entire lot allowing buyers to better visualize the entire property. Here are a few more benefits of creating real estate videos with drone technology. Create more dramatic images – as shown in the above example, drones allow you to get creative with your video. Most high-end drones have GPS programmable flight paths and automatic point-of-interest camera targeting which allow the user to pre-program flight paths to better capture an entire property. Create interesting virtual tours – Camera drones are highly maneuverable and can fly through the front door and travel from room to room creating a natural virtual tour that can’t be duplicated by station-based photography or video. Highlight property features – Landscaping, pools, outdoor living spaces, and nearby amenities are important to buyers. Aerial videos showing these features can add to customers view of a property and can be easily accomplished using drone technology. Generate new listings – Using the latest technology like drone video and photography shows prospective sellers that you are current with the latest marketing techniques. They understand that you can make their home stand out and look amazing. Basically, drone video offers your business competitive differentiation making your listings look better, and that means faster sales. Using drone technology as a part of your real estate marketing strategy can offer tremendous benefits, from providing competitive differentiation to attracting new listings and selling properties more quickly than traditional real estate marketing techniques. Soon drone video and photography will become standard practice. Early adopters can reap the long-term benefits of attracting more listings and staking a larger claim to the south Florida real estate market. Accutour is a South Florida business founded by two former Real Estate professionals who understood that high-quality professional imagery of all types would sell properties faster, increase a firms brand value and result in better listings and more of them. Boring property pictures on MLS are a thing of the past. Learn what professional drone imagery, photography, videography, virtual tours and 3D renders can do for your bottom line. Contact us today.